Stunning Sussex Square- an exclusive address within one of the most prestigious Grade I listed garden squares on the sunny south coast. Built as ‘Belgravia by the Sea’ in the 1820’s, Sussex Square has exclusive us use of 7.5 acres of key access only, private manicured lawns with a secret 'Alice In Wonderland' style tunnel to the beach. 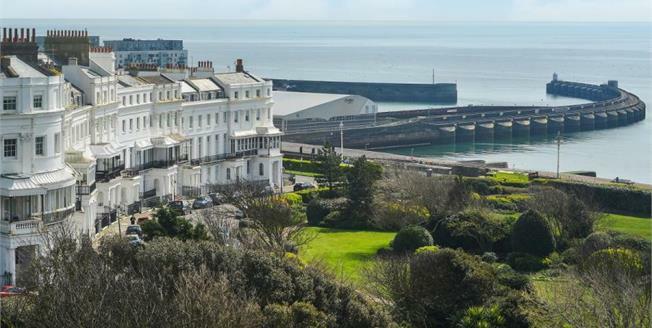 This beautiful mansion apartment is no exception; laid out over three levels with impressive Ocean views and generous proportions, the first floor offers a living room, dining room and seperate kitchen along with high ceilings and big sash windows. Up to the second floor and you will find the splendid master bedroom complete with full size en-suite bathroom and dressing room. The second bedroom also has a en-suite. The third floor consisits of a further two bedrooms along with a kichenette and sperate bathroom as well access onto the large private roof terrace with views over Brighton and the surrounding area.